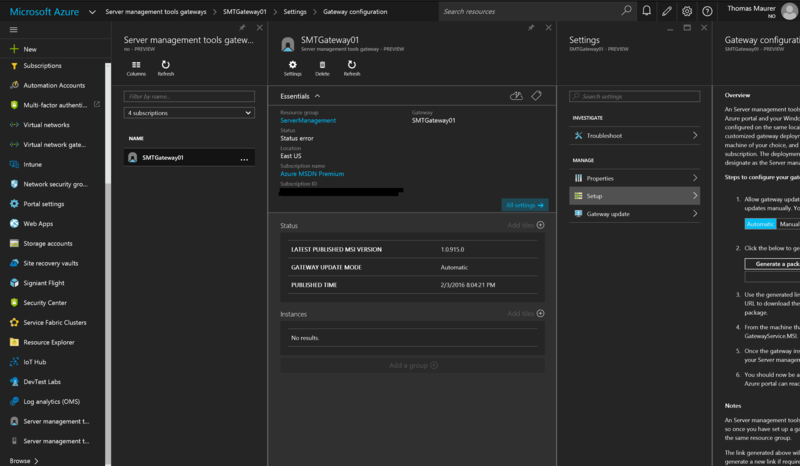 Microsoft released an updated to the Azure Server Management Tools (SMT) and this improves some of the existing tools such as File Explorer and Device Manager. 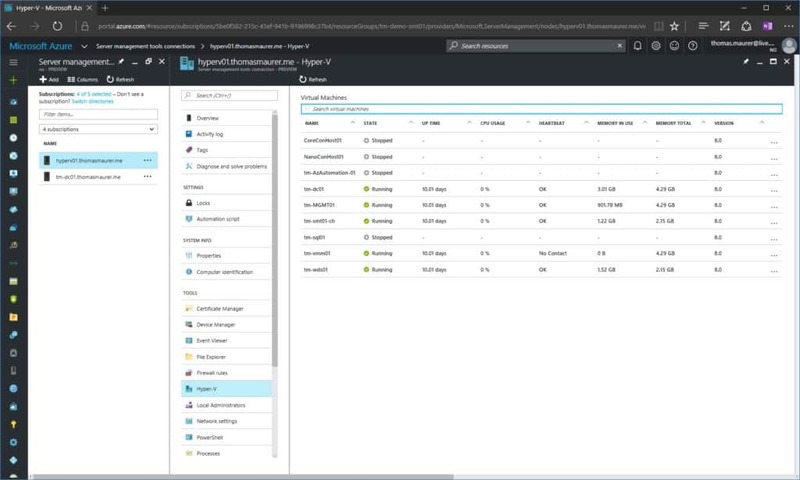 But the big announcement here is, that you now can manage your Hyper-V Server and Virtual Machines directly from Microsoft Azure from where ever you are. This is one of the great examples of using cloud solutions to extend your on premise environment, By using Management as a Service you basically don’t need to updated anything, you just got this new feature available in the Azure portal and you can start using it. Finally, Microsoft released Windows Server 2016 and with Windows Server 2016 we also get the first version of Nano Server. 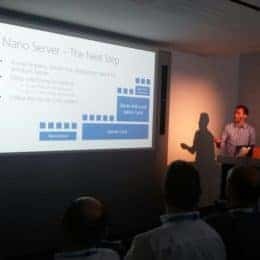 I had the opportunity to speak on several different events and conferences about Nano Server, so I tried to create a quick summary of my presentation in this blog post. 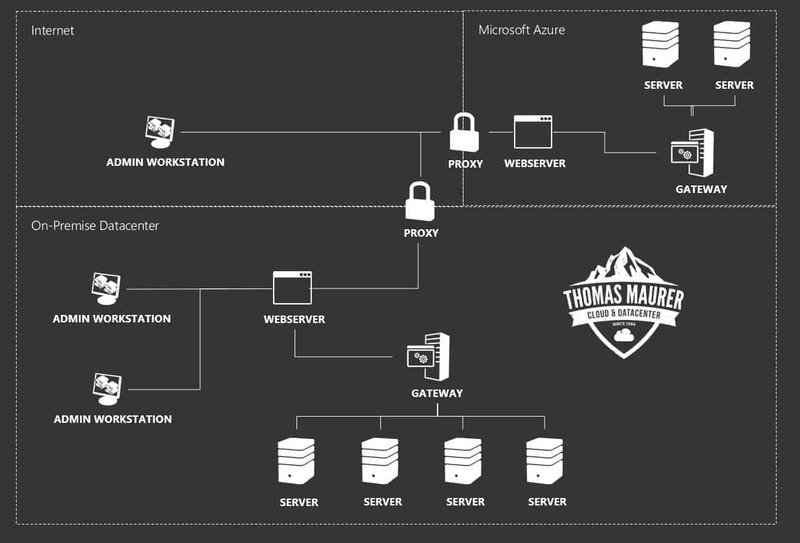 Nano Server is a redesign version of Windows Server which is very lightweight, very small footprint and fully remote managed and it is designed to solve some of the datacenter challenges we have today. Nano Server is a headless, 64-bit only deployment option of Windows Server. Microsoft basically removed all components from the base image. Roles and feature are not directly included in the base image and they have to be added while creating a new Nano Server Image or online using PowerShell Package Management. Not even the drivers are included in the base image, since you don’t want the physical drivers in a virtual machines, and you don’t want the virtual drivers on a physical machine This is also the reason why Nano Server does not show up during the installation dialog when you boot the Windows Server 2016 ISO file. Born-in-the-cloud applications – support for multiple programming languages and runtimes. (e.g. ASP.NET Core, C#, Java, Node.js, Python, etc.) 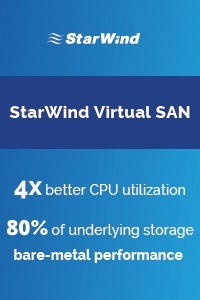 running in containers, virtual machines, or on physical servers. Microsoft Cloud Platform infrastructure – support for compute clusters running Hyper-V and storage clusters running Scale-out File Server and Storage Spaces Direct. But Microsoft also added some other roles like DNS and IIS to the Nano Server and we can expect more roles and features in the future. In this version Nano Server will of course not replace Windows Server Core and Windows Server (Full or Server with Desktop Experience), but it will be definitely be they way going forward. 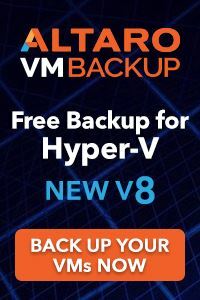 This not only reduced deployment time and gives you some operational improvements, it also reduces the attack surface by a lot and this is a huge security improvement. With that, existing Remote Management Tools, such as Server Manager and other RSAT tools, will continue to work. But Microsoft also improved PowerShell Remoting and introduces the Azure Serivce for Server Management Tools. This service allows you to manage your servers directly from Azure using a web-based HTML5 portal. 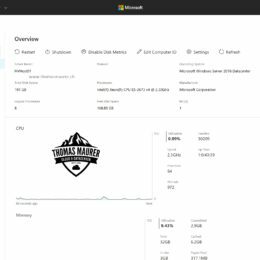 I personally think that this could also replace Server Manager and allows you to easily manage non-GUI servers such as Windows Server Core and Nano Server. The Server Management Tools do not only support Nano Server, they also support Windows Server 2016, Windows Server 2012 R2 and Windows Server 2012 with WMF 5.0 and higher. The simplest way to manage Nano Server is by using PowerShell Remoting using for exmaple the following command. 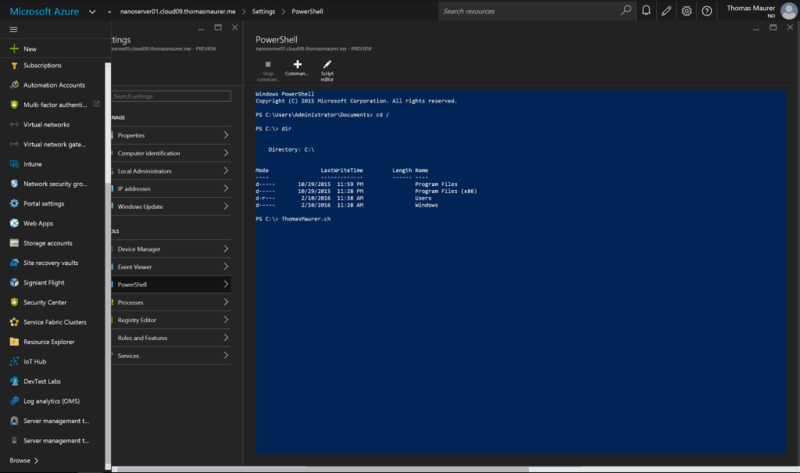 If you are directly on a Hyper-V Server you can also use PowerShell Direct which allows you to directly connect to a Virtual Machine using the Hyper-V VMBus. 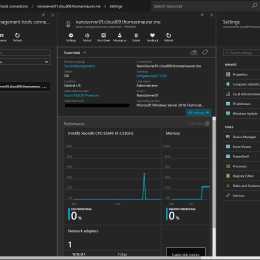 If you want to know more about Managing Nano Server check out the following blog posts How to Remote Manage your Nano Server using PowerShell or Hyper-V PowerShell Direct. Nano Server can also be managed using System Center Virtual Machine Manager and System Center Operations Manager. 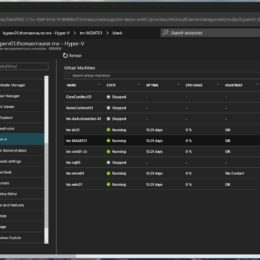 With SCVMM you can deploy new Hyper-V and Storage Spaces Direct hosts as well as Virtual Machines. 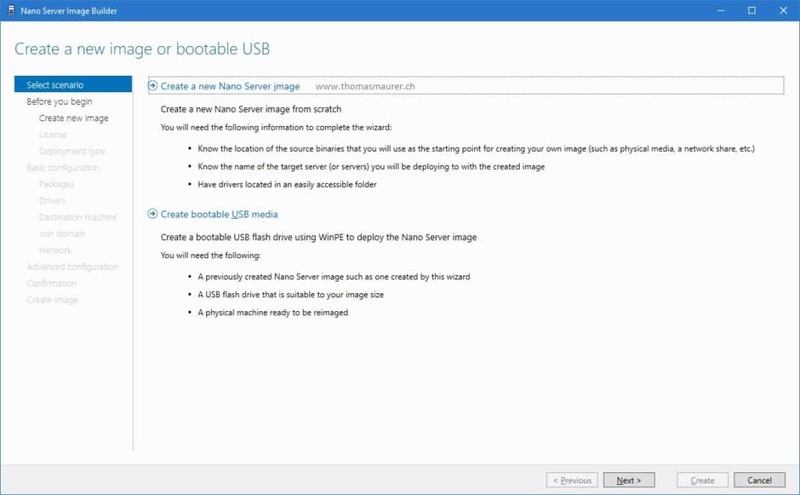 To deploy Nano Server as a virtual machine or as a physical host you have to create a new Nano Server Image. For this you have basically have two option. The first one is using the built in Nano Server Image Generator PowerShell module and the second option is the Nano Server Image Builder UI wizard. The Nano Server Image Generator PowerShell module allows you to create new Nano Server Images. You can find this on the Windows Server 2016 media in the Nano Server folder. 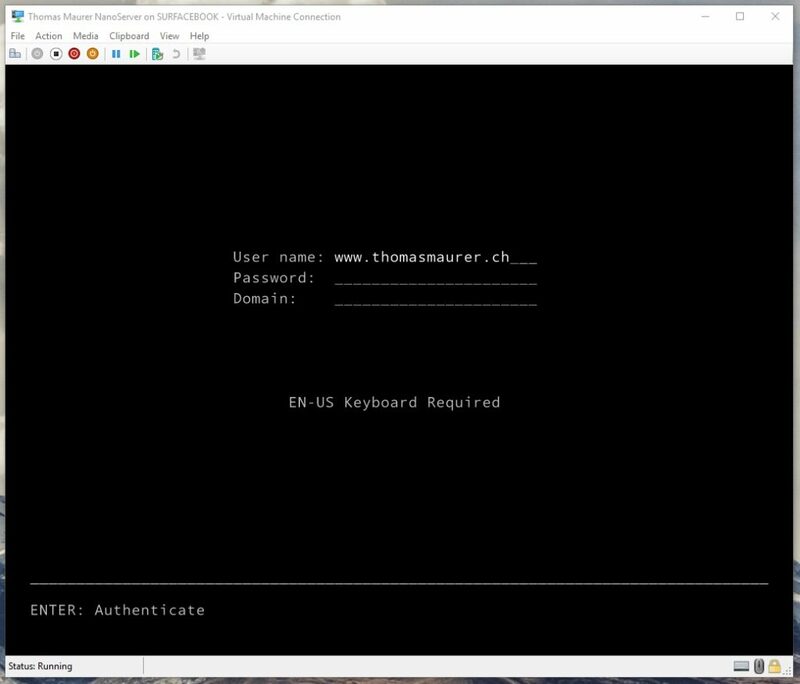 Here is a quick example how to create a new VHDX using the PowerShell module. The Nano Server Image Builder is a UI based wizard to create Nano Server Images in VHDX, VHD, WIM or ISO to install Nano Server on all possible systems. 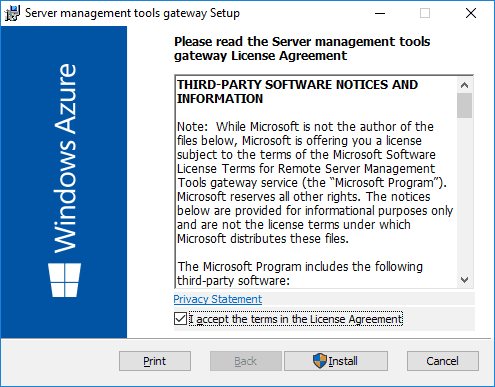 First download and install the Windows Assessment and Deployment Kit (ADK) and the Nano Server Image Builder. 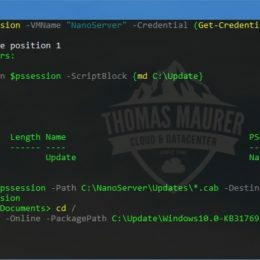 If you need more information about deploying Nano Server check my blog post about Create a Nano Server using the Nano Server Image Builder and How to create a Nano Server Image using PowerShell. Roles, Features and Drivers live outside of the basic Nano Server Image have to be added while creating the Nano Server Image or after that using PowerShell Package Management. 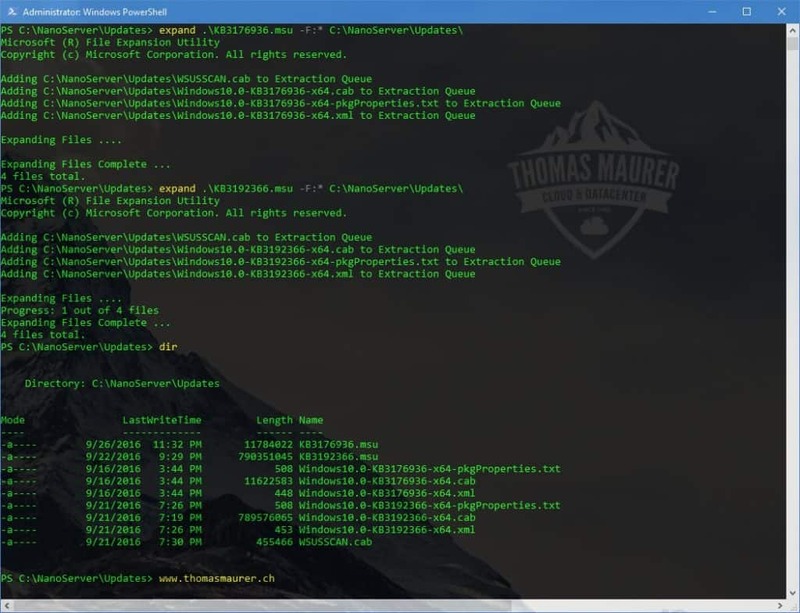 You can find and install Windows Packages from the online package repository by using the NanoServerPackage provider of PackageManagement (OneGet) PowerShell module. There is also a Sysinternals version for Nano Server. 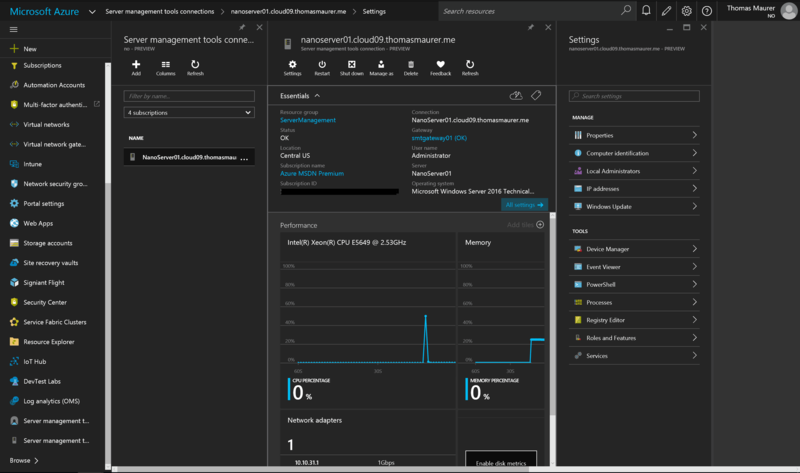 Emergency Management Services (EMS) lets you perform basic troubleshooting, get network status, and open console sessions (including CMD/PowerShell) by using a terminal emulator over a serial port. This replaces the need for a keyboard and monitor to troubleshoot a server. Windows Server are usually from the Long Term Servicing Branch and have 5 + 5 years of servicing and only get security and quality fixes, no new features. 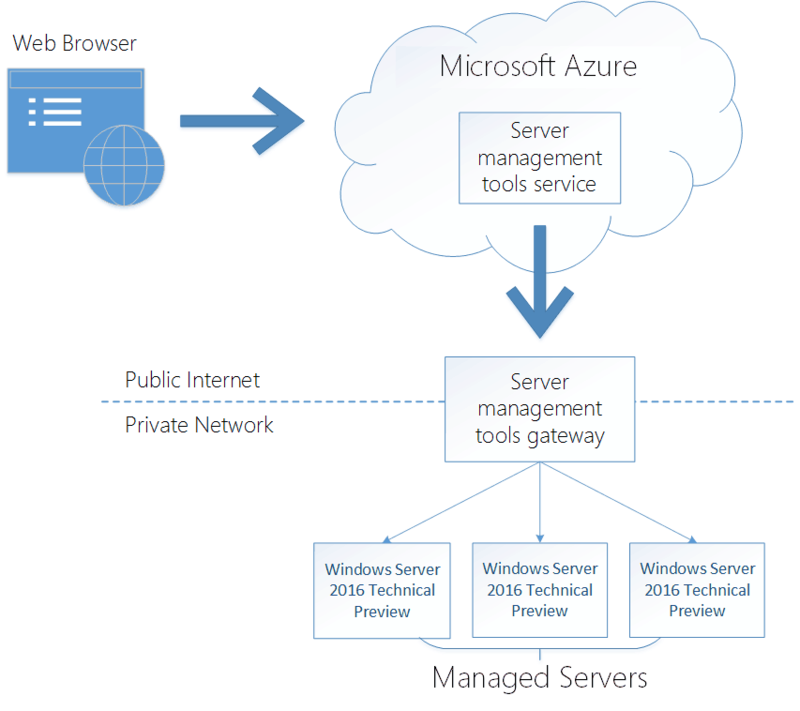 In Windows Server 2016 Server Core and Server with Desktop Experience follow this traditional servicing model. 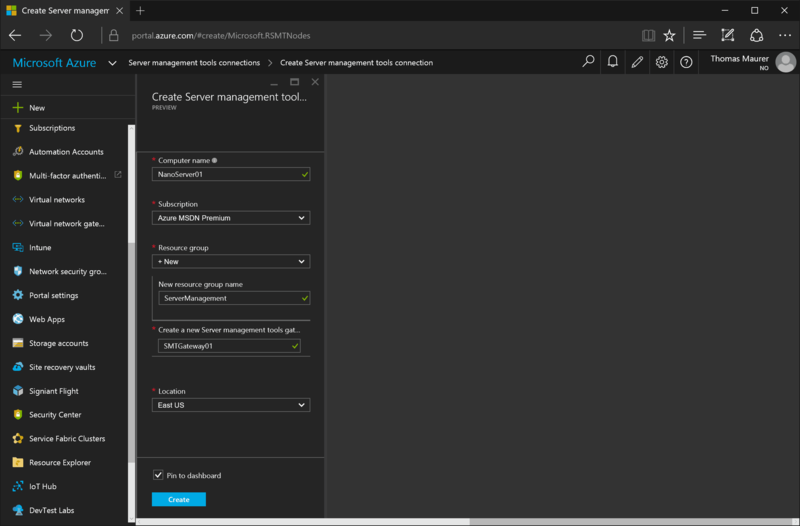 Nano Server on the other hand will be in a new servicing branch called Current Branch for Business (CBB). 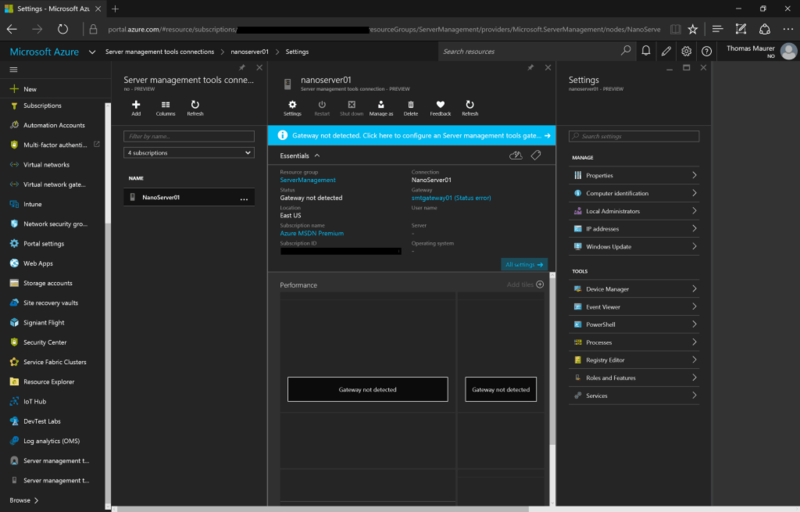 In my opinion the effort Microsoft does with Nano Server really makes sense and will help Service Providers as well as Enterprise companies to deploy clouds even faster, more secure, more efficient and with less management overhead. Of course it is still early and Nano Server may not fit every case and scenario today, but definitely in the future. 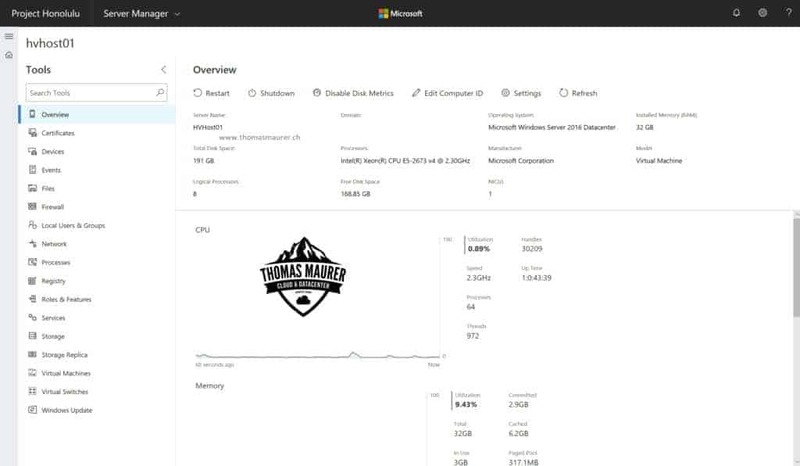 Microsoft just released Windows Server 2016, which comes with a new deployment option called Nano Server. Nano Server is a very small version of Windows Server which addresses a lot of different issues. Now after the release of Windows Server 2016 Microsoft is releasing the first updates for Windows Server 2016 and Nano Server. Microsoft released the first Cumulative Update for Windows Server 2016 was released on September 26, 2016 (KB3192366) and the prerequisite for this and future Cumulative Update is the Servicing Stack Update for Windows 10 Version 1607 (KB3176939). For the most update scenarios you will need the .cab update package , which is included in the .msu file. To extract the .cab file from the .msu file you can use the expand command line utility. In my case renamed the .msu files to for easier identification and copied both files to C:\NanoServer\Updates. If you create a new Nano Server Image you can simply include the latest updates and cumulative updates while building the image. With that you have a new fresh NanoServer Image which will be fully patched after the first boot. Import-Module .\Files\NanoServer\NanoServerImageGenerator\NanoServerImageGenerator.psm1 New-NanoServerImage -MediaPath .\Files -BasePath .\Base -TargetPath .\Images\NanoVM.vhd -MaxSize 20GB -DeploymentType Guest -Edition Datacenter -ComputerName "Nano01" -ServicingPackagePath ".\Updates\Windows10.0-KB3176936-x64.cab", ".\Updates\Windows10.0-KB3176936-x64.cab"
New-NanoServerImage -MediaPath .\Files -BasePath .\Base -TargetPath .\Images\NanoVM.vhd -MaxSize 20GB -DeploymentType Guest -Edition Datacenter -ComputerName "Nano01" -ServicingPackagePath ".\Updates\Windows10.0-KB3176936-x64.cab", ".\Updates\Windows10.0-KB3176936-x64.cab"
If you already have an existing Nano Server Image you can also updates this one. Import-Module .\Files\NanoServer\NanoServerImageGenerator\NanoServerImageGenerator.psm1 Edit-NanoServerImage -TargetPath .\Images\NanoServer.wim -ServicingPackagePath ".\Updates\Windows10.0-KB3176936-x64.cab", ".\Updates\Windows10.0-KB3176936-x64.cab"
Edit-NanoServerImage -TargetPath .\Images\NanoServer.wim -ServicingPackagePath ".\Updates\Windows10.0-KB3176936-x64.cab", ".\Updates\Windows10.0-KB3176936-x64.cab"
If you have VHD or VHDX templates and you want to integrate new updates you can do this as well using the DISM PowerShell module. 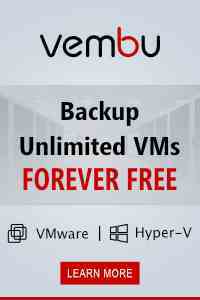 You can also update existing Virtual Machines with this if you shutdown the VM (Offline Patching). If you have a running Nano Server in a virtual machine or on a physical host you can also use the downloaded .cap files and the DISM PowerShell module to install the patches on a Nano Server. 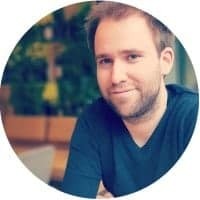 For that you will need to use PowerShell remoting to connect to the Nano Server. If the Nano Server is running inside a VM, you can also use PowerShell Direct to connect directly to the Virtual Machine from the Hyper-V host. 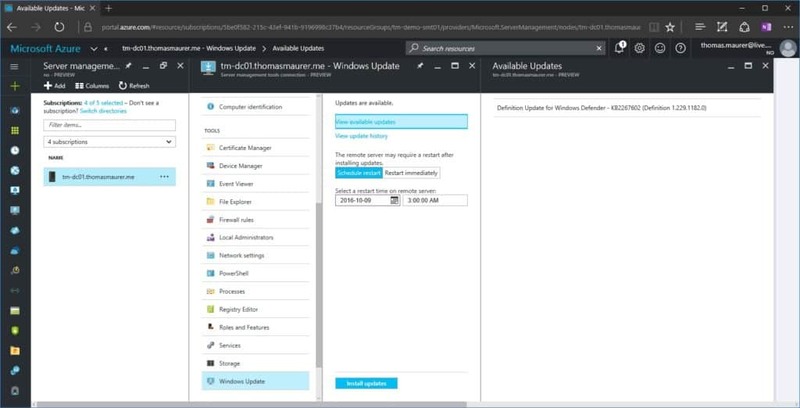 If you have a running Nano Server VM or physical host, you can use the Windows Update WMI provider to download and install the update from Microsoft Update. You can also use a graphical UI to update Nano Server directly from the Remote Server Management Tools. You can get more information about Updating Nano Server on this Microsoft blog post.